Overspeed is an innovative service and consulting company with focus on wind power and the energy business area. Our services and products span the entire wind and solar energy sector from wind energy consulting to wind and solar power predictions for grid operators - from the development of software for offshore windfarm planning and wind farm management to energy storage systems and professional training. On basis of over 25 years of experience in the area of wind energy Overspeed is working as consultant in the areas of project review and risk assessment, wind potential analysis, wind farm layout and management of approval procedures. In focus are mainly projects at “difficult“ sites e.g. outside Europe and Offshore. In particular Overspeed was main consultant for the project “Sandbank”, one of the biggest offshore wind farms in the world. The further development of energy supply with wind and solar energy and other renewable energies is also a main working topic of Overspeed. We develop and run the Anemos operational platform. In several EU-projects Overspeed was mainly responsible for conceptual design and development of the operational platform as well as for installation and operation of the prediction systems. One of the most challenging tasks for wind farm developers is the optimisation of offshore wind power plants. Our new software tool, Wind & Economy, supports your challenging work with the seamlessly integrated modelling of wind climate, large scale and localized wind farm effects, electrical loss calculations and derivation of economic key figures. Overspeed emphasises the application and the development of new techniques and methods. For this reason Overspeed is involved in several R&D projects in the areas of remote surveillance, power prediction, offshore maintenance optimisation and wind - hydrogen - balancing power, and cultivates close cooperation with the University of Oldenburg including ForWind. One of the main topics of Overspeed is the development and selling of IT-products around wind energy. This includes Shadeoff, our optimising solar shade shut-off system and RadarCam & RadarEdit, our bird course tracking system. Dr. Waldl is lecturer at the University of Oldenburg in the "Postgraduate Programme Renewable Energies". In 2006 together with ForWind a one year distant education training course "Wind Energy Technology and Management" was developed for engineers and is held on a regular basis. 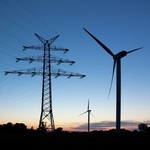 This course is dealing with all aspects of wind energy, project development and management. Together with ForWind we are founder of the ForWind-Academy.